Havanese Puppies are amazing. Havanese in general are the best companion dogs I have ever owned. 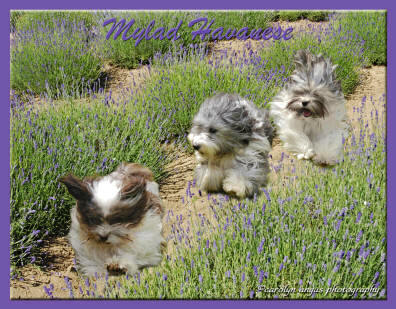 Mylad Havanese is dedicated to the breeding of quality, healthy beautiful Havanese puppies. We carefully screen and pick our Havanese Champion Parents and breed our Havanese Puppies for the show ring and for great companions. We have Havanese Puppies placed all over Canada and the US, but are located in Langley, British Columbia close to Washington State. We do extensive Health Testing and offer a Lifetime Health Guarantee on all our Havanese Puppies. 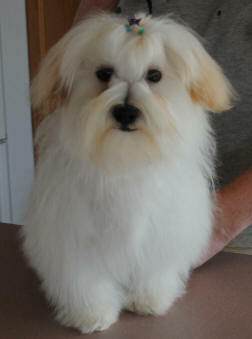 We are currently taking reservations on Havanese Puppies for Spring and Summer . We also own The 08 Havanese Westminster Breed Winner, the top 08 All Breed Havanese in the US, The Havanese Canadian Specialty Winner, and the only Havanese to only take a group placement at Westminster. 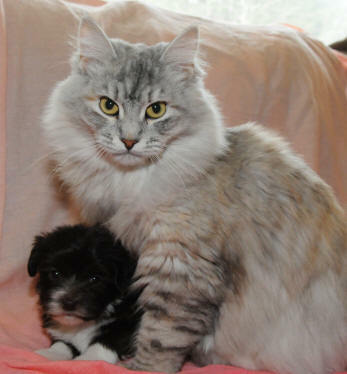 At Mylad Havanese, we have a commitment to breed the healthiest, happiest and most affectionate Havanese that we can. As a member of the National Breed Club, Havanese Fanciers of Canada I take this commitment very seriously. We always breed for health and temperament first. We do extensive health testing on all our puppies and of course our parents. We back our dogs with an outstanding health guarantee, and we breed some pretty adorable puppies. We love our puppies, but we really like our owners too, so we take our time to find the right fit of puppy and owner and screen our owners carefully. We also win in the show ring a lot, and have some remarkable show wins with our dogs so all our Havanese puppies actually do look like a Havanese. Rufus - Grand Champion Mylad's Ruff and Ready (Rufus) number 4 in Canada for 2016! Best Opposite all 4 days of B.C. Regionals. Wendy is out of Peter. Cuba took Breed and a Group One!! US Nationals was great, every dog we entered came home with a placement or win. The Coby kids did just great, winning sweeps, regionals and nationals placements. Coby grand-daughter to best opp at the Nationals. Calvin took reserve winners dog at the Regional's. Lots of fun!! 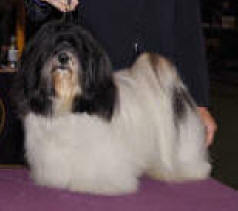 Coby finished the 08 year as Number 1 All Breed Havanese. 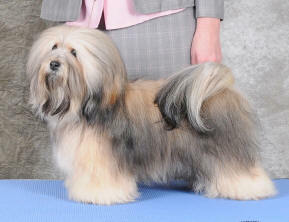 Record holder for the most Group 1's and still the only Havanese to have a group placement at Westminster. Join us on facebook, You Tube and Twitter for the most up to date show and breeding news. Just click on the icons below to go to the Mylad Havanese pages. Coby (AM/CAN CH. BISS and BIS Yup's Cohiba Esplendido) did me proud at the Westminster Dog Show in New York City. Coby won the breed and took a Group III placement from the very very strong Toy Group. 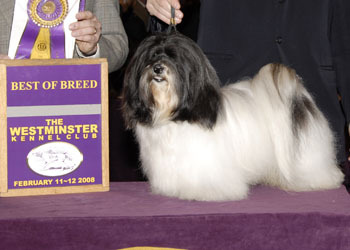 Cohiba actually made history at the Westminster Gardens by being the first Havanese to ever receive a group placement from the Westminster Kennel Club. Way to go Coby!!!! I must say I'm so proud of our boy and our handler David Stout. David and Cohiba are just magical together - it was certainly a real treat to watch them both in the ring. Still fixing site, but able to use it now, so pictures are finally going up! Thank you to all of you inquiring on how we are doing with the BC fires. We are all fine here, although it is very very smokey. We have pasture and room for anyone in need of evacuation space, please reach out to us if you need space for yourselves or animals of any kind. Well we had a crash and I lost some content, so starting over on the Show news for 2017, and updating some other parts of the site as well. The BC Havanese Fanciers of Canada Regional Specialty was a great success. For winners and updates click here.